During the last few decades of my social life I have interacted with three kinds of communists. The first variety belong to those who were inspired, motivated and activated through ideological grounds. This section is fast becoming a rare species in today’s context. There could be a number of reasons for the decline of this community and at this moment, since it is not very much an important part of this article, I am not indulging in that question. What is only significant here is to state that the dearth of organic intellectuals who could bring in the necessary changes in the character of their ideologies in relation to the changes in historical situations of multiplying forms of oppression in today’s context, has reduced ideology to almost a utopia which no communist really believes in their true heart. They become a part of a conditioned state of mind of an everlasting `wait for revolution’. The need for its pretension for the organisational structures are more important than its true desire and conviction in the communist mind. The second section of communists belong to those who were inspired, motivated and activated through the sheer processes of social action. Since there is an increasing gap between the the type of action needed and the type action presented, many from this section are also draining out. But they still outnumber the earlier variety in a major way. For them, the stories about martyrs in their own home state would provide more meaning than any theory of surplus value. Existing organisational forms of the communist movement have however created a space for the above two sections of communists as a part of their organisational agenda. When they are part of the organisational structure, the existence of the organisation itself could provide the real meaning for life, rather than the reasons for its existence. The third variety of communists have very little space in the structures of organisations, even if they play a significant role. This variety of communists are those who are inspired, motivated and activated through compassion and humanism. I would argue that it is this section which has been the real backbone of the communist movement. They never chose for recognition. They were there with the organisation to the extent that they could express their humaneness and compassion. Though the history of communist movement have always celebrated intellectuals and martyrs, what normal people outside the party structures still remember are the qualities of compassion of the communists. Since compassion is not very much slotted theoretically or organisationally, they are not normally given much significance. But I would argue that it is this section which has been the real backbone of the communist movement. Sharmaji, to me belonged to this crowd, even though he was motivated by ideology as well as action. He was a man who was motivated by compassion more than anything else. I remember seeing Sharmaji as a child. Talking to children in their own wavelength was a special quality with Sharmaji. He had a special gift of understanding of the pains and joys of every member of the family he visited. I have been told by my aunt that com. P. Krishna Pillai had such a quality. One of her uncles used to be a strong anti-communist, but he would look forward to the visit of Krishna Pillai in our ancestral home. 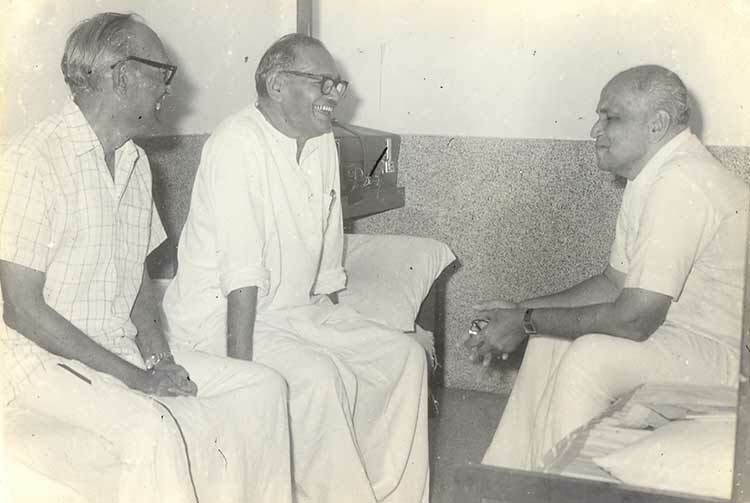 Krishna Pillai was an inclusive communist, even when his views were strong. I guess, Sharmaji had acquired similar talents to be less judgemental individually, even when he opposed the views the other person with whom he was having a dialogue. He knew that some times, the view point of the other person may take a long time to change and the only thing that was needed was patience. Sharmaji tried his best to see to it that his presence did not threaten anybody. This only motivated others to connect with him. He could keep aside his own pains, sufferings and frustrations and listen to the same of others. He presented a constant appearance of an easy person who can be approached in times of difficulties. His sense of humour could lighten up even those with big time difficulties. I have seen these qualities in him when I came to Trivandrum with my uncle, Kuttikrishnan, who was an active commmunist in Guruvayoor. He had a major heart problem and I accompanied him for medical treatment in Trivandrum. Though he knew many people from his own party, the first person he tried to get in touch was Sharmaji. And Sharmaji, like the usual, took care of everything right from meeting him in his room to helping out in the hospital. I could see that even when Sharmaji was not physically well himself, he could play the same helping hand for others. The Silent Valley movement divided many communists in Kerala. Some who understood the value of environment and many who saw it as a resource to be exploited. But most of those communist party members who supported the Silent Valley Campaign, did not pursue their environmental interests for long. But Sharmaji maintained it till the end. For him, there was not much of a conflict between the real essence of his communism and environmentalism. He was clear that human beings could not exist without environment. At a time when there were public usages like `environmental fundamentalists’ by a certain section of the communists on those who were questioning the development model in Kerala, Sharmaji stood firm on his convictions. It was interesting that his entire family had these convictions. His son-in-law, Dr. Satish Chandran Nair, stood on a high ground with these convictions. During the mid eighties, V.T. Padmanabhan did a study on of the earliest works of the impact of radiation caused by a nuclear establishment in India. The Indian Rare Earths, which produced thorium for the fast breeder reacters, was proven to cause cancer and genetic disorders. We made a documentary called Living in Fear', based on some of these findings. Time was when all the communist parties supported the need for nuclear energy. As a party member, Sharmaji did not even hesitate to join a protest on this issue, initiated by a small group of anti-nuclear people. The other person who took an anti-nuclear stand on this issue was C. Achutha Menon, after watchingLiving in Fear’. For Sharmaji, for being younger at heart than most of the young anti-nuclear activists, such a stand was nothing unusual. 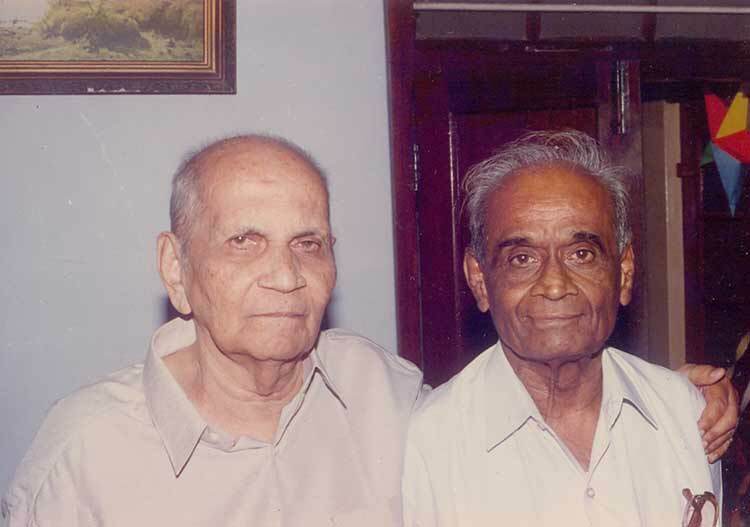 Once when Sharmaji came to Trichur with his beautiful daughter Anita Sharma (Kochu) when his son had a fracture, my close friend Lonappan, who is unfortunately no more, was deeply attracted to his daughter. He wrote a romantic poem for his daughter and showed it to Sharmaji to pass it on to his daughter. I was a bit stunned by Lonappan’s frankness. `If you are attracted to the daughter, why do you have to give the romantic poem to her father?’, I argued with Lonappan. In any case, he could have posted it to her also. But Sharmaji read the poem in front of Lonappan, enjoyed it and made sure that his daughter received it. That was Sharmaji. The beautiful people who spread the colours of life in our surroundings are becoming limited in today’s context. Many of us have not acquired the combination of their humility, patience, convictions and simplicity. But what we can proudly say to them is that `even your smallest association with us have made some everlasting influence in our lives.’ We would have been somebody else but for such people. Many thanks for the nice article.